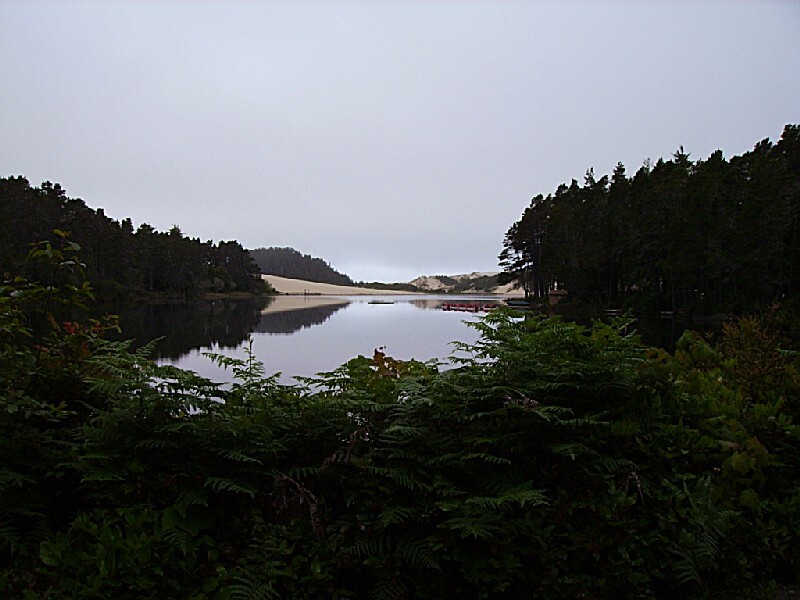 Situated half way up the Oregon coast and three miles south of Florence on scenic Highway 101 is the second largest overnight camp in the state. There are two miles of sand dunes between the park and the ocean. Two natural freshwater lakes are within the park. Cleawox -- which is great for swimming -- and Woahink, which has a public boat ramp, is used for all water sports. Rent a canoe and explore the lake. 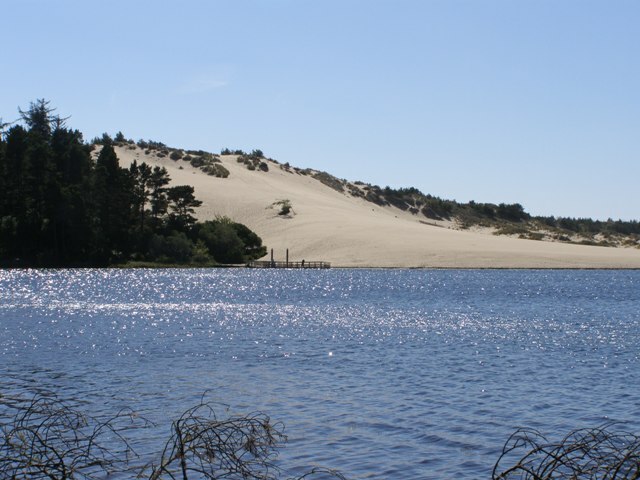 During Discovery Season (October 1 to April 30 every year), you can access the Oregon Dunes National Recreation Area directly from your campsite in H loop of the campground. Reservations are recommended for winter holidays such as Thanksgiving and Christmas. Spring brings out the pink rhododendrons. Come summertime, this is a great place for family reunions. The fall huckleberries and blackberries are ripe for the picking. During the winter, off-road vehicle users can access the sand dunes from H Loop. This a camp for all seasons.